If your hair really is your crowning glory, then I am very happy for you. Ok, that’s a complete lie: I’m jealous as hell. Because, like lots of women who live in this damp, humid climate, my frizz-prone mop very often just refuses to behave. It’s easier to manage since it got the chop (and I do plan on posting all about that, very soon!) but I am always on the lookout for the latest greatest product that will sleeken and swishify my hair. I may have made up some of the words in that last sentence. 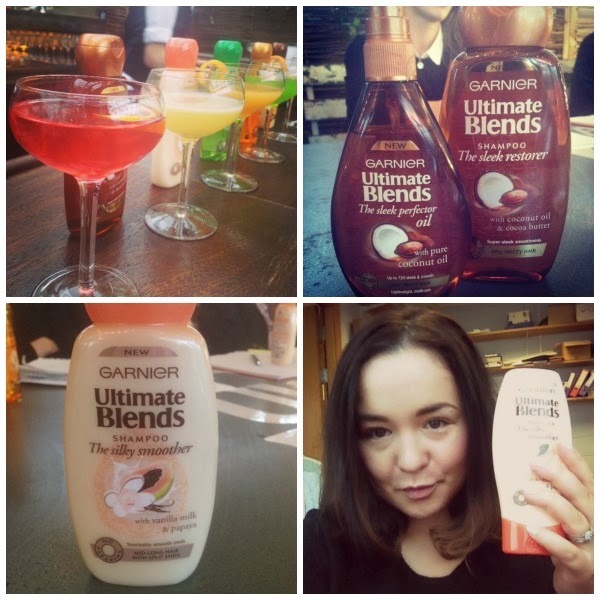 So news of Garnier’s new Ultimate Blends was music to my ears. After seven years of research and surveying two thousand women, they’ve come up with a product range that treats all common concerns, smells delicious, is easy on the pocket – and actually works. The Marvellous Transformer – with argan and camellia oils, to transform dry and lifeless hair. Includes shampoo and conditioner (both €3.99), 1 Minute Treatment (€6.99) and The Marvellous Glow Oil with UV filter (€10.99). The Sleek Restorer – with pure coconut oil, for dry and frizzy hair. Includes shampoo and conditioner (both €3.99), 1 Minute Treatment (€6.99) and the Sleek Perfector Oil – all prices as above. The Colour Illuminator – with argan oil and cranberry, to prevent fading and protect colour treated hair. Includes shampoo, conditioner and 1 Minute Treatment. Prices as before. The Shine Revitaliser – with Chinese green tea and Meditteranean lemon extract, to leave normal hair with weightless shine and vitality. 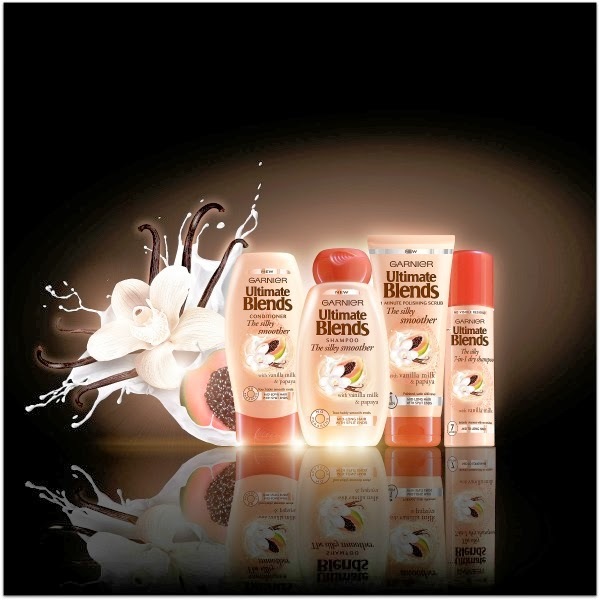 Includes shampoo, conditioner and dry shampoo (€5.49). The Silky Smoother – with papaya and vanilla, for mid to long hair; includes shampoo, conditioner, 1 Minute Treatment and dry shampoo. The Nourishing Repairer – with avocado oil and shea butter, for very dry and damaged hair; includes shampoo, conditioner and 1 Minute Treatment. My ultimate blend? It’s the Silky Smoother: divinely scented, the shampoo and conditioner have left my hair noticeably softer. I’ve yet to use the oil or treatment, though I will, but the dry shampoo has totally rocked my world. I’m normally welded to my bottle of Batiste and have yet to find a rival for my affections. Until now. There’s no powdery residue (a huge bonus with my dark brown hair), it smells lovely, boosts volume and leaves my hair feeling clean yet nicely textured. It’s my latest love. Sounds like a lot of research has gone into this range. The dry shampoo sounds a winner! 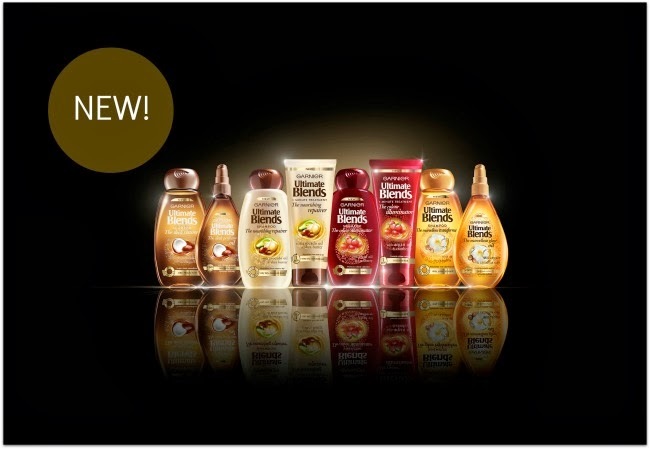 I love Garnier, their products are normally great value for money and do what they say on the bottle. I'm looking forward to trying these out! I can't wait to give these a go, your hair looks super swish in the photo so I'm intrigued! These look great, but I wished they'd designed one for fine, limp hair that gets greasy easily, which is mine. Oh well, at least I'll be able to try the dry shampoo. Also have to say I'm not keen on the packaging! Oh these sound super good for the price! Way cheaper than my current Aussie habit! Wow, this range of products look absolutely amazing! I'd like to try the one for coloured hair. these products look exciting, I'll make sure to pick them up asap! i will definitely check out the range! they look so good! I have tried Garnier products before but my experience was so so. I would give them another try though. They sound so good! I love the idea of the smoother!